Interest in experimental research in public management is on the rise, yet the field still lacks a broad understanding of its role in producing substantive findings and theoretical advances. Written by a team of leading international researchers, this book sets out the advantages of experiments in public management and showcases their rapidly developing contribution to research and practice. 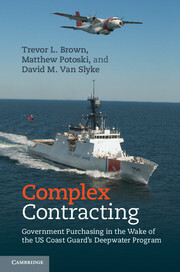 The book offers a comprehensive overview of the relationship between experiments and public management theory, and the benefits for examining causal effects. It will appeal to researchers and graduate-level students in public administration, public management, government, politics and policy studies. 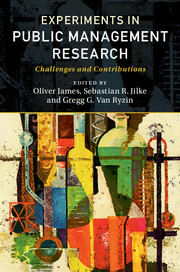 The key topics addressed are the distinct logic of experimental methods in the laboratory, in the field, and in survey experiments; how leading researchers are using different kinds of experiment to build knowledge about theory and practice across many areas of public management; and the research agendas for experimental work in public management. 24. Conclusions. 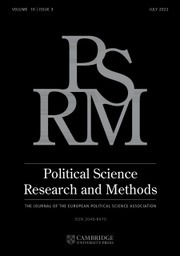 Towards an experimental public management? Oliver James, Sebastian R. Jilke and Gregg G. Van Ryzin.